Khmer Rouge former head of state, Khieu Samphan, on Wednesday challenged the 2014 life sentence [JURIST report] imposed by the Extraordinary Chambers in the Courts of Cambodia (ECCC) [official website] for crimes against humanity. Samphan stated that he was simply fighting for “social justice” in Cambodia and said [Channel NewsAsia report], “I shall shout loudly that I never wanted to agree to any policy that is against the Cambodian people.” Samphan, as well as another leader, Nuon Chea, were convicted [case materials] in 2014 after being found guilty of overseeing the death of nearly one fourth [AFP report] of Cambodia’s population. 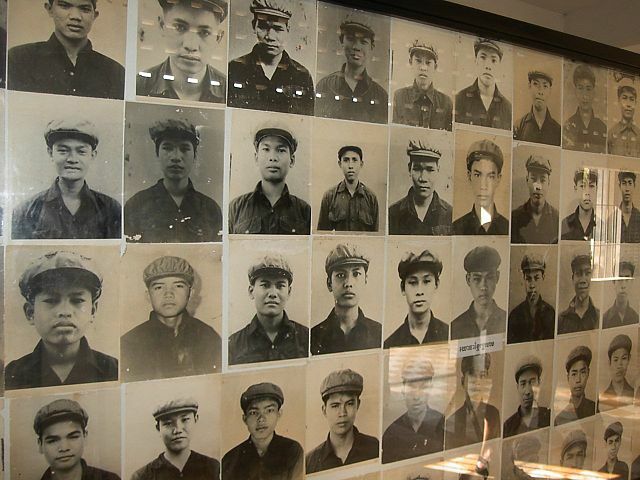 Samphan and Chea are the first leaders of the Khmer Rouge to be jailed for their actions in Cambodia. Cambodia continues to struggle with the legacy of the Khmer Rouge, an extremist group that attempted to set up an agrarian socialist society in the nation in the mid- to late-1970s. In December Cambodia’s Khmer Rouge Tribunal charged [JURIST report] Meas Muth, the Khmer Rouge’s ex-navy commander, with genocide, crimes against humanity and other crimes. In March the tribunal charged [JURIST report] former Khmer Rouge member Cadre Ao An with crimes against humanity for his role in the maintenance of an execution site and two security centers during the Democratic Kampuchea. Earlier in March Human Rights Watch called on [JURIST report] the Cambodian government to act on criminal charges brought against former Khmer Rouge leaders. Also in March the ECCC charged [JURIST report] district commander Im Chaem and navy chief Meas Muth, with homicide and crimes against humanity, despite a warning by the country’s prime minister not to add the defendants. Cambodia’s UN-backed tribunal restarted genocide hearings in a separate case in January after a delay in which defense lawyers refused [JURIST reports] to participate. The Khmer Rouge have been blamed for roughly 1.7 million deaths between 1975 and 1979 while leader Pol Pot was in power.